I did not make this jacket. So why did I include it? The jacket was the inspiration for adding more trimmings. The colour contrast on this jacket made it most suitable for a picture. I prepped up a few of my jackets with a similar trim. You need to measure the area that you plan to attach trimming or ribbon. Usually the sleeves, around the collar and along the lapel. Possibly also the pockets and maybe even make some epaulets? Now set about finding ribbon or brocade or something you can use to jazz up the edges of your jacket. Pin and cut the material to your jacket. Remember to allow a bit extra to fold under at each end. Using matching colour thread, hand stitch the trim to the jacket. Begin and end with the trim folded under so raw edges are concealed. Make sure you fold the trim carefully when you attach it around V shapes on the collars. Just one note. 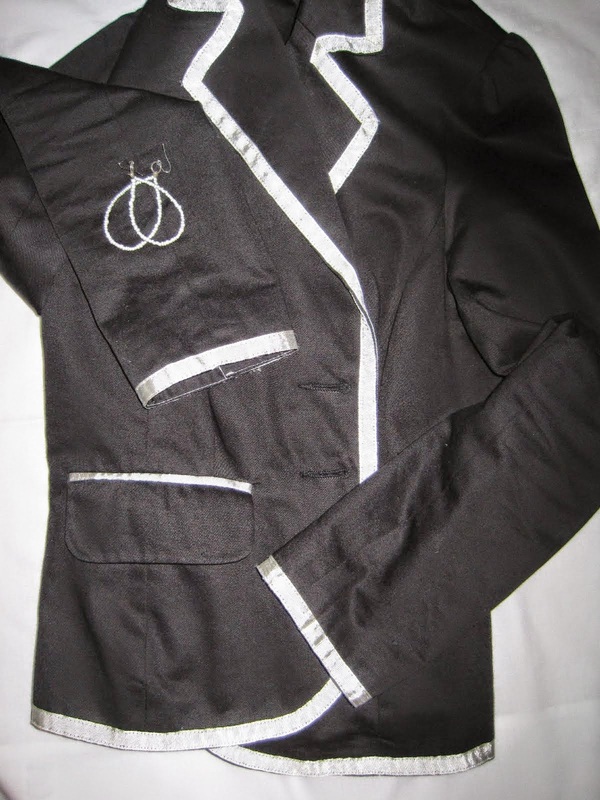 The trim follows the lines of the jacket but you flip the jacket to stitch the trim to the top of the collar. In terms of possibilities you could use metallic braid for a military feel, think airline pilots or naval officers. Or striped ribbon for a more preppy look. 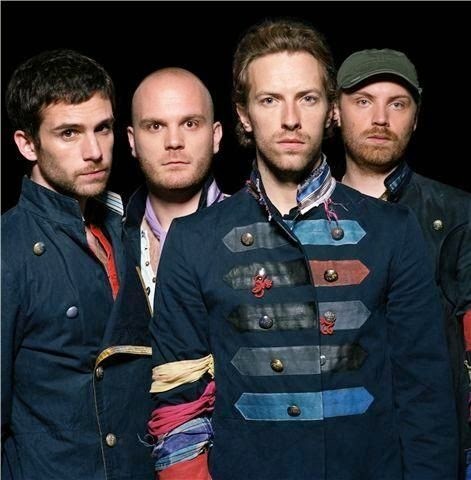 For a radical overhaul, rip off the collar and attempt to make the jacket Chris Martin is wearing in the photo. The beaded teardrop earrings were made by my daughter and were a gift to me. She threaded some small beads on to fairly firm wire. She shaped the wire in a tear drop sort of shape. She twisted the wire on to an O-Ring to make sure the design faced forward and not sideways. And she added the O-Ring to a shepherds hook or the hook they use to put through a hole of a pierced ear. You could use thicker beads or alternate the colours of the beads. You could even use metallic beads if you can find them. And you could vary the shape. Circular, square, oval? The only limitations in ideas are those imposed by your preferences.